The IPA is directed by a five member Executive Board consisting of UPS pilots elected to serve three-year terms in office. Bob is a 1985 graduate of U.C.L.A. with a degree in Political Science. He served as a pilot in the United States Air Force flying the F-111 and as an instructor pilot flying the T-38 Talon. He briefly flew for American Airlines before being hired by UPS in 1994. 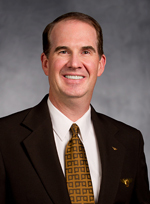 In his time at UPS, Bob has been a Captain on the Boeing 747, MD-11 and currently the A-300. He also flew the 757 and 767 as a First Officer. 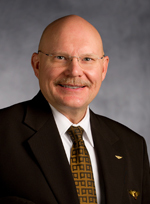 While at the IPA, Bob has served as Grievance Committee Co-Chairman and MD-11 Training Instructor representative. He was elected Vice President in January of 2011 and assumed the office of President in August of that same year. 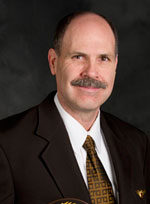 Bob was elected to a fourth term as President in October 2018. He resides in the Dallas, Texas area with his wife and son. Steve is a 1989 Graduate of Southern Illinois University with a Bachelor degree in Business Administration. He started his flying career with Northwest Airlink in 1991 flying the Saab 340 and Jetstream 31. In 1995, Steve was hired by UPS and has flown the B- 747, B- 757/767 and is currently a Captain on the MD-11. Steve has served on various committees for the IPA over the last 20 years and was a member of the IPA Negotiating Team for the 2016 contract. Steve was also the lead IPA Accident Investigator for both UPS Flight 6 in Dubai and UPS Flight 1354 in Birmingham, AL. He was elected Vice President in the fall of 2016, and began his three-year term January 1, 2017. Steve resides in Prospect, KY with his wife and children. Lyndon is a 1988 graduate of the University of Science and Arts of Oklahoma with a degree in Political Science. Prior to UPS, he flew for Mesa Airlines in Albuquerque, New Mexico, flying Beech 1900s. 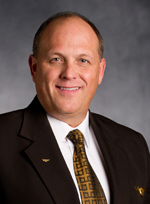 Hired by UPS in early 1994, Lyndon has flown the B-727, 747, 757, 767, DC-8, MD-11, and A-300 aircraft. The DC-8 was his favorite. Lyndon's IPA committee work has included Critical Incident Response, as well as 5 years on the HIMS Committee as Chairman. He began his term as Secretary in January 2019. 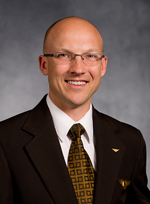 Nick is a 1999 graduate of Embry-Riddle Aeronautical University with a degree in Aeronautical Science. He began his aviation career in 1999 as a flight instructor at Cardinal Wings in Louisville, KY. He then flew the EMB-145 for Continental Express, later known as ExpressJet, until he was hired by UPS in 2007. In his time at UPS, Nick has flown as a First Officer on the Douglas DC-8, Boeing 747-400, Boeing 757/767 and is currently a First Officer on the Airbus A-300. Nick served on various committees and oversaw numerous special projects for the IPA before being elected Treasurer in the fall of 2016. Nick began his three-year term January 1, 2017. He resides in Louisville with his wife and children. Bill is a 1988 graduate of Concordia College of Wisconsin with a double major in Business Administration and Marketing, and a minor in Aviation Science. His flying career began on the Shorts 360 for Simmons American Eagle out of Chicago, followed by service as a TWA L1011 Flight Engineer in 1989. Three years and two furloughs later, Bill returned to flying Part 135 charters, before being hired by UPS in July of 1995. While at UPS, Bill has flown as a Flight Engineer on the 727, First Officer on the B757/767, and Captain on both the B757/767 and currently the MD11F. He served as a Grievance Committee volunteer for over 10 years, and Grievance Chairman for the last eight years. Bill began serving his 3-year term as the At-Large Representative in January of 2018. He resides in Louisville, KY with his wife and children.